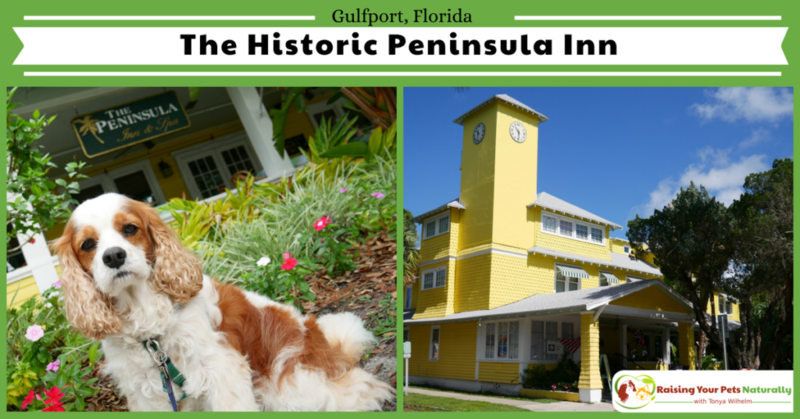 During our dog-friendly Florida vacation, our family was invited to stay at The Historic Peninsula Inn in Gulfport, Florida. Boy, am I glad we took them up on their generous offer! The Historic Peninsula Inn is situated in the center of Gulfport’s charming and dog-friendly merchant district. The location is within walking distance of a variety of shops, parks, and dog-friendly restaurants in Gulfport, Florida. When we arrived (early, as usual), I was blown away at The Historic Peninsula Inn’s outside beauty. The grounds surrounding the breathtaking yellow inn were full of lush trees, plants, and flowers. While I walked up the steps, I was thinking to myself, how much fun we were going to have in Gulfport, Florida. I was immediately greeted by Thomas at the front desk. As luck would have it, our room was ready, and we were able to check in early. The Historic Peninsula Inn offers twelve unique guest rooms and suites. We were staying in the pet-friendly room, The Casablanca Suite. Thomas escorted me to my room and showed me how to use the historic elevator, which was installed just after World War II. The Historic Peninsula Inn has quite a history. The inn was built in 1905 as the Bayview Hotel. After World War II, the inn operated as Cedar’s Hospital for injured veterans returning from the war. After the hospital, the building was converted to a nursing home and later, a retirement home for gentlemen until the late 1980s when it sat empty and didn’t open again until 2002. In 2016, Veronica Champion revamped the building and turned it into the charming Historic Peninsula Inn. 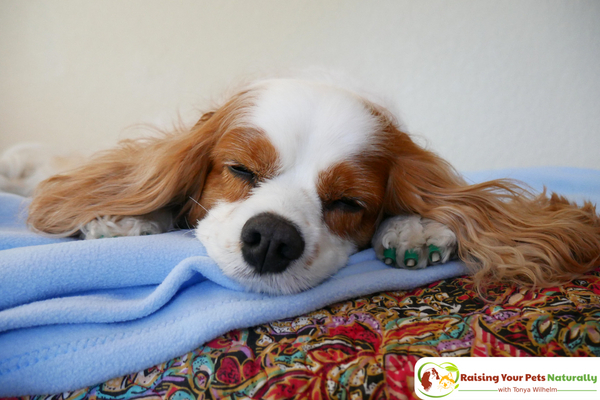 This dog-friendly suite had 2 bedrooms, perfect for our family of 3. The main bedroom had a queen-sized bed, and the 2nd bedroom had 2 twin-sized sleigh beds. 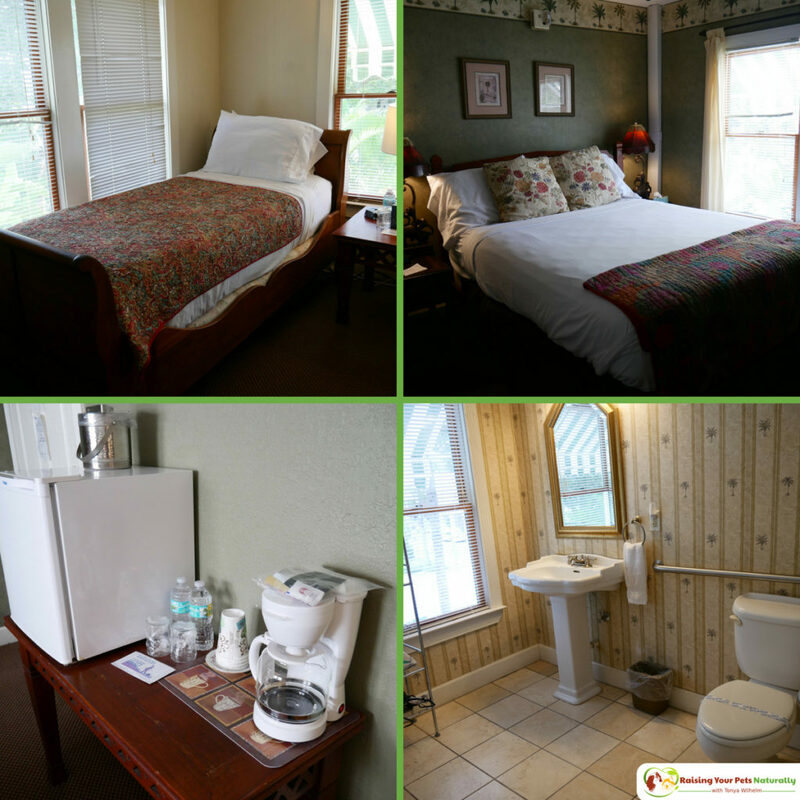 Our dog-friendly Florida suite included a very large bathroom, hair dryer, bath essentials, towels, flat-screen TV, coffeemaker, bottled water, Wi-Fi, and a complimentary Florida breakfast! It also included a mini refrigerator, which is an important amenity for me since Dexter eats a fresh food diet. After walking around the suite, I was very happy with the cleanliness, layout, and comfort our rooms offered. This feeling would be confirmed by all 3 of my family members after our very restful and comfortable night. 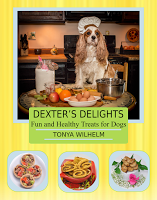 When traveling with dogs, it sometimes can be a challenge to find dog-friendly restaurants. 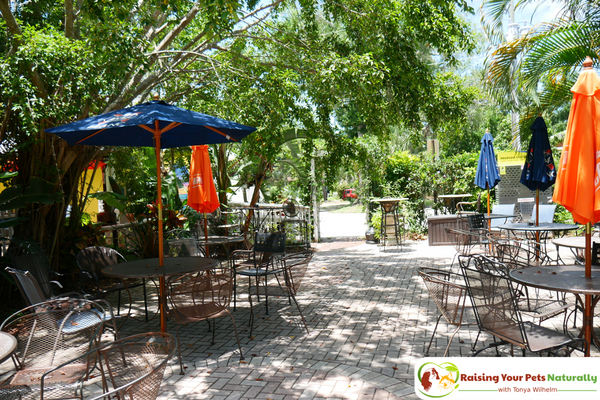 But, I was in luck, as this Gulfport dog-friendly inn also offered a dog-friendly restaurant, Isabelle’s Restaurant, which not only offers indoor seating, but a fully covered patio and a second outside patio for outdoor seating. Inside, they frequently have live music and also host live music on their outside patio. Isabelle’s Restaurant was awarded the “Best of the Beaches” and “Best of the Road” by Rand McNally, so I knew we would be in for a treat eating at this dog-friendly restaurant. My parents started out with the Cornbread and Biscuit Basket. Cheddar jalapeno cornbread and buttermilk biscuits with cinnamon-honey butter. They both were raving at how unique and delirious these fresh biscuits were. I ordered the Fried Green Tomato BLT, and boy this sandwich did not disappoint. Three fried green tomato slices, applewood bacon, lettuce, pimento cheese on a brioche bun. For my side, I chose the White Truffle and Gouda Macaroni and Cheese. Yes, it was as good as it sounds, but actually, even better! For dinner, my mom ordered the Heirloom Tomato and White Wine Alfredo Pasta, and my step dad went with the lamb T-bones. Did they enjoy their meals? My step dad is still talking about how this was the best lamb he has ever had, and we all agree this was the best meal during our entire visit to Florida! 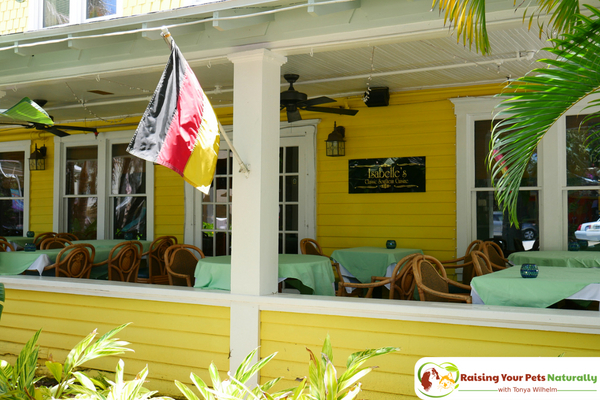 The Historic Peninsula Inn knows how to serve up fresh and scrumptious food. Their morning breakfast was impressive, too! They offered fresh fruit, quiche, and these amazing scratch fruit muffins. Yes, I had two muffins! I even ate and really enjoyed the quiche, and I’m not usually a fan of eggs. 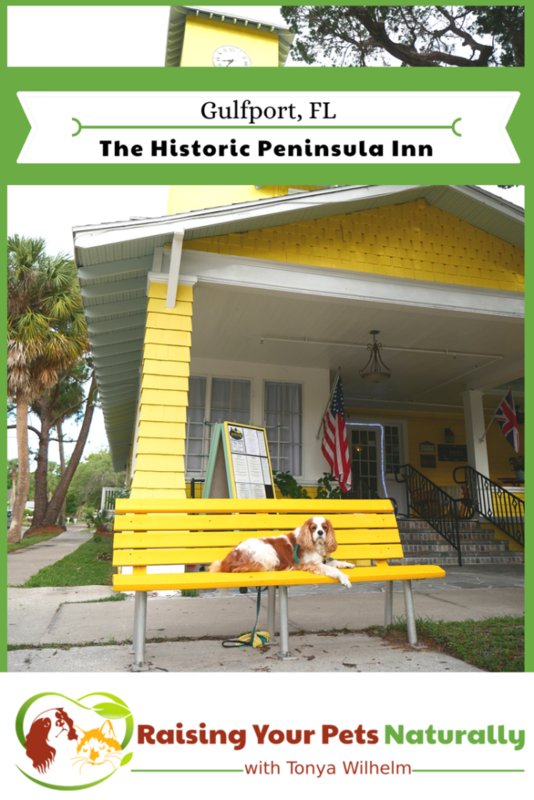 If you are planning a trip to the Tampa-St. Petersburg-Clearwater, Florida metropolitan area, The Historic Peninsula Inn in Gulfport, Florida Is too good an experience to be missed! I love dogs. Especially furry ones. This location looks absolutely beautiful and relaxing! I love your video – it’s put together so well! I hope to visit more local inns with Wynston in the near future. Thanks Amanda! I really appreciate that. I really loved staying at The Historic Peninsula Inn. So nice. This hotel looks so classic Florida! 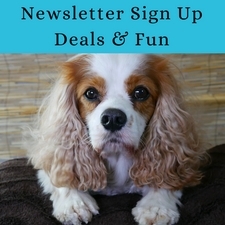 Gulfport sounds like a fun place to visit whether you’re bringing a furry friend or not. 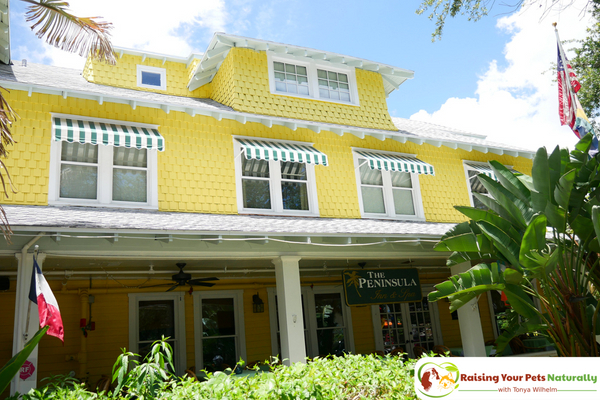 The Historic Peninsula Inn is truly classic Florida. Fun for all! 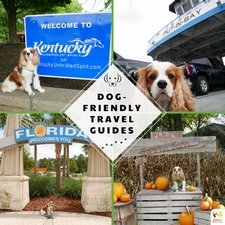 It’s so nice to be able to take the fur babies on vacation with you but it’s important to research on where the pet-friendly hotels are. I think this is so helpful! I’ll be sure to consider these when planning our next vacation! Thank you Alison. It’s a really great spot and Gulfport was very dog-friendly. what a great hotel, i love bed and breakfast. and i like that you made sure it was dog friendly i wonder if it is cat friendly also? Thanks, Andrea. It may be! I would check. A lot of dog-friendly places are also cat-friendly. That is one of the nicest pet friendly hotels I have seen. On our road trips, the pet rooms we’ve stayed in are never suites, so no privacy for the parents. The hotel looks beautiful inside and out. Thanks for sharing! You bet. Yes, the suite was so roomy and comfortable. I appreciate having more space than just a room. I do not have a dog, if I had, I think there would be no better place for vacation than The Historic Peninsula Inn. You’ve written a great review. I love this post and your pictures !! I’m a huge dog ( and animals in general) lover so .. so cute !! I am so glad to see there are people out there that recognize the importance of pets and traveling with them. So often one is forced to leave the family pet behind because there is no place that accepts them as part of your family. Very true. I’m glad too. 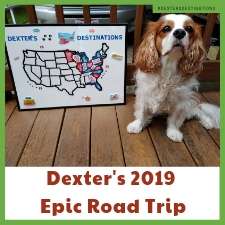 We only travel with Dexter. It makes the vacation so much fun. This is such a cute little place! I love that they allowed pets to be there. I never thought much about taking a dog on vacation, but many people do. It’s good to know that there are places that will accept them. Thanks for sharing! The Historic Peninsula is such a great spot. Yes, so helpful to be able to bring our pets where they are truly welcome. 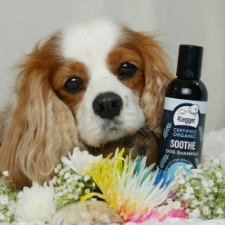 This is a really great place for those dog lovers who would love to take their dogs with them. I think other vacation spots should follow the historic peninsula for having a dog friendly inn. This place is really nice looks very comfortable to stay here. Very cute post thanks for sharing its very fantastic.. Thanks, Hannah. The inn was very comfortable and nice. We had such a lovely time. We adopted a puppy a few months ago, and it’s been tough finding the balance between my traveling heart and dog mom. Knowing they are so dog-friendly is a huge selling point for making my selection for where to stay during our next trip. Congratulations. Oh, you must do it. It’s the only way I travel. It is so nice when you are able to travel with your pets, if you wish to bring them along. What a fun little place you were able to stay at. It’s the only way I travel. I love that the inn is such a find! Your dog looks so lovable. I don’t own a dog but this place looks like a great place to visit. First off, Dexter is adorable! I love that more pet hotels are popping up and thank you for mentioning the friendly restaurant as well! This looks like it was such a great place to kick up and relax. 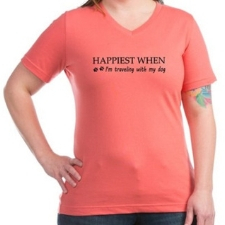 I love that they allow you to bring your fur baby along for the memories! Thanks Becca. It was such a great spot for relaxing. We want to go back! Beautiful pictures and would love to take my dog to this hotel on our visit to Florida. Pinning it.